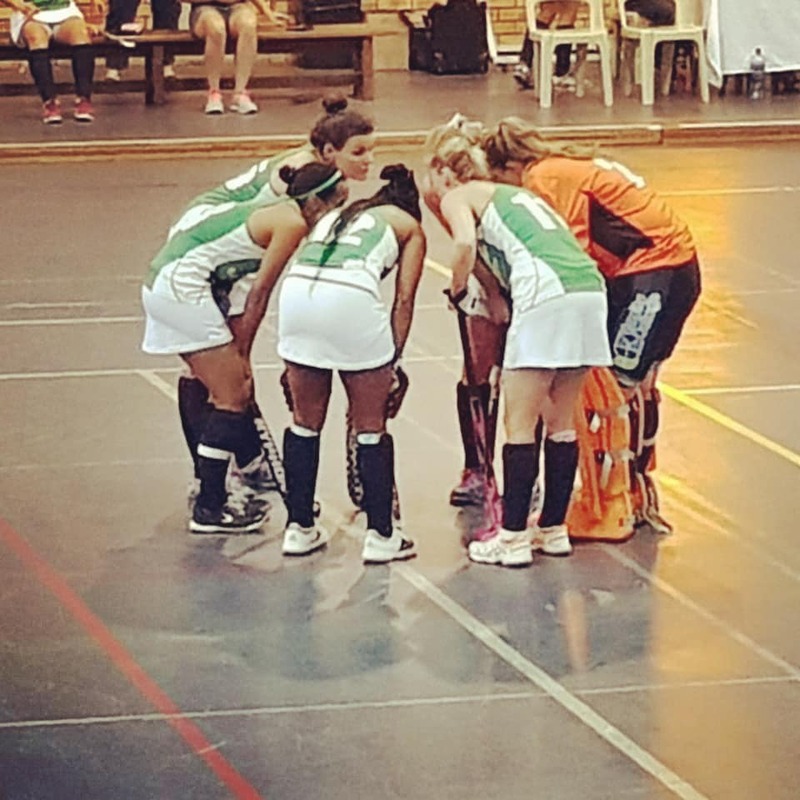 The quarter finals of the Women’s Indoor Hockey IPT A Section have been completed and the top 4 for 2019 are known. On Saturday morning they will contest the semi-finals before the final is played on Saturday night. Here is what went down in the quarter-finals. It was routine stuff for the 8-time defending champions as they dismissed the WP Pens challenge easily. Led by Kelly Reed in the absence of injured Cindy Hack, the Raiders stormed into a half time lead of 5-0 through Jodie Oakes, Jess Lardant, Karin Bowyer, Kelly Reed and Cailynn den Bakker. Calvin Price’s side then produced a solid second half which saw them comfortably see out the game. Kelly Reed, Jess Lardant and Jess O’Connor all netted in the second half. The SPAR KZN Raiders will take some incredible effort to beat. In the pick of the matches the hosts were expected to run out victors in a tough battle but found themselves chasing the game when Celia Evans put the fantastic Northern Blues ahead. They found themselves level through Rachel Barnard before half-time but neither team could take their opportunities in a thrilling encounter, which meant shootouts would decide the winner. To the delight of the home crowd it was Inlands who succeeded thanks to Edith Molikoe’s winning goal. It was a far tougher in the first half than Western Province had expected as they took on Mpumalanga. The game was scrappy, and the Province ladies failed to hold onto significant periods of possession but found the 1-0 half-time lead through Sasha Sivertsen. Although they got the second through Nidia Vermeulen they were constantly frustrated by the superb Charlize Swanepoel. Eventually the would make it a comfortable win with a trio of goals from Kayla de Waal (2) & Ammaarah Hendricks. Southern Gauteng made sure they had a chance to try and improve on last years silver medal thanks largely to a fine first half display. Lilian du Plessis scored the first after great determination by Kara Botes to win the ball. They would add another three before half-time with the impressive Cloe de Souza getting two of them. Southerns did take their foot off the gas in the second half and that ultimately saw them allow the Mynahs back into the game, probably something they will look to improve on in the semi-finals. Mynahs two goals came through Kerry Gaze giving them a glimmer of hope, but it was not to be. It was a tough day for SPAR South Africa both physically and emotionally, but as this team has proven time and time again, that is when they show their best side. Today was the day that the former South African player Brenda Bartlett was remembered after her long fight with cancer. For South African captain Cindy Hack, it was extra emotional as the two played together at the 2007 Indoor Hockey World Cup and were fond friends. The South African ladies wore black ribbons on their socks to play in honour of the late Bartlett and found themselves under early attack. The Switzerland side featured a few changes from the opening test match and the renewed energy provided a massive test for the South Africans with Julia Intelmann converting the early pressure. The hosts, who were stunned in the opening game, looked up for the game but SPAR South Africa were given an early lifeline when they won a stroke. Tegan Fourie dispatched it convincingly to restore parity in a fierce contest. With the clock ticking to half-time it was the visitors who took the opportunity and netted a fine go-ahead goal through 18-year-old sensation Edith Molikoe. The youngster had a fantastic first test and the goal was a just reward for her displays. In the second half captain Cindy Hack extended the lead to 3-1 with her 3rd of the series, which drew obvious emotion from the inspiring leader. Switzerland set up an incredible finish win they scored in the 35th minute through Sofie Stomps. Although they threw everything at it, the hosts were unable to breach the South African defence and suffered a second surprise defeat. As is the nature of indoor hockey there was not much time to wait for the third test, in fact just about 7 hours. The two teams had produced a fantastic and entertaining test match in the morning and although Switzerland rang the changes again, it was more of the same for the crowd in attendance. It was South Africa who got the perfect start to the game with a superb Jessica O’Connor flick from the penalty corner. Although coach Lennie Botha was delighted with that early goal, that delight did not last long as Elena Trosch levelled in the 10th minute. Hasana El Allaly then sent the home crowd into raptures as the hosts gained the lead. It looked like it was a lead that would last until half-time, but after the hooter Jess Lardant scored from the penalty corner to completely tear up the respective coaches’ notes. As has become customary in this series, the first goal of the second half was struck by legendary captain Cindy Hack, her fourth of the series, putting SPAR South Africa into the lead. 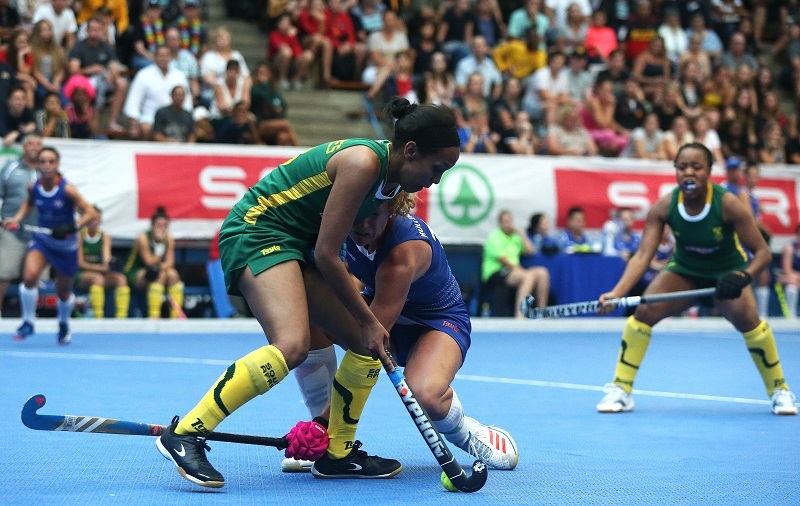 A defensive masterclass looked like it had done enough to seal the series for South Africa, but a last second penalty corner was converted by Janice Thoma to share the game. A pulsating 3-3 draw that extended South Africa’s unbeaten test match run to 28 games and importantly meaning they cannot lose the series with two matches remaining. It’s nothing short of spectacular for the world’s 16th ranked side against the World number 7. SPAR South Africa arrived in Switzerland on the back of an unbeaten 25 match test run. Of course, it has been a tough journey for the team after missing out on the FIH Indoor Hockey World Cup. They can only be credited for their response, working hard and focusing on building towards future goals. This tour to Switzerland and Czech Republic would be SPAR South Africa’s biggest test so far. A year ago, at the FIH Indoor Hockey World Cup, Switzerland produced an outstanding display to finish 5th. The highlight of their run was a brilliant victory against Poland, who were ranked 4th at the time. The run also saw Switzerland reach an all-time high ranking of 7th in the World. To top it off South Africa had never beaten a top 10 ranked country outside of South Africa and never beaten a team ranked higher than 8th in the World. It was set to be a titanic tussle. 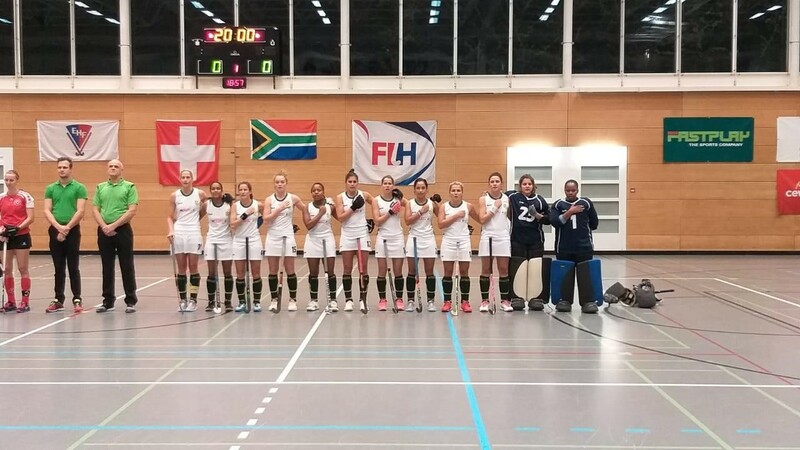 Switzerland featured four of the Indoor World Cup team in the opening game against a South African side seeing Andrea Leader earn her first cap and Cindy Hack her 73rd. It was South Africa who struck first through a penalty corner from Jessica O’Connor in the 12th minute. A hallmark of Lennie Botha’s side has been their ability to hit two quick goals back-to-back. This characteristic took centre stage once again when Jess Lardant made it 2-0 in the 13th from another penalty corner. Cindy Hack, playing arguably the best hockey of her career, and leading from the front converted a goal from open play to give South Africa a 3-goal lead at the break. If the hosts were expecting the South Africans to back off they were in for a surprise as the South Africans burst forward and extended the lead through Hack once again finishing off a team move to make it 4-0. Switzerland then gave themselves a glimmer of hope when Carina Zimmerman, playing in her third test match, pulled a goal back for the hosts. But any hope of a fight back was doused by a stellar defensive performance by the South Africans and crowned by Jess O’Connor, who opened the scoring, netting the game’s final goal in the 36th minute. The result gave SPAR South Africa a fantastic 1-0 lead in the five-match series and will give the team great hope on securing a series victory, which would have been a hopeful goal before the tour got underway. The wait for hockey action in 2019 is only a week old and its over already. 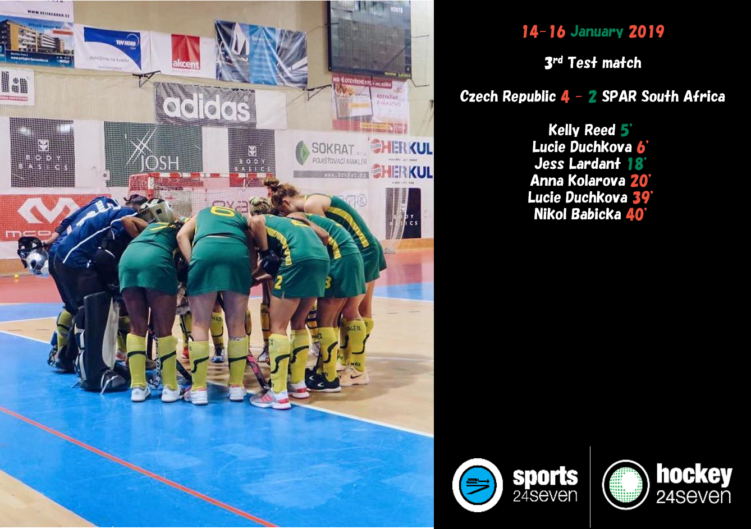 SPAR South Africa Indoor Hockey are in Switzerland for a five-match series before moving to Czech Republic for another series. The two series will be a great opportunity for the South Africans to see how far they have come over the past couple of years taking on teams ranked 7th and 5th respectively. South Africa are ranked in 16th. 2018 was a great year for the SPAR South Africa side as they won 13 of the 15 test matches they took part in, drawing the other two. In that time, they won the Croatia Cup, breaking a Record for the biggest victory in a 21-0 victory over Slovenia. They also defeated Zimbabwe 5-0 in the first ever indoor hockey series hosted in Zimbabwe, while triumphing 3-0 over African Champions Namibia. 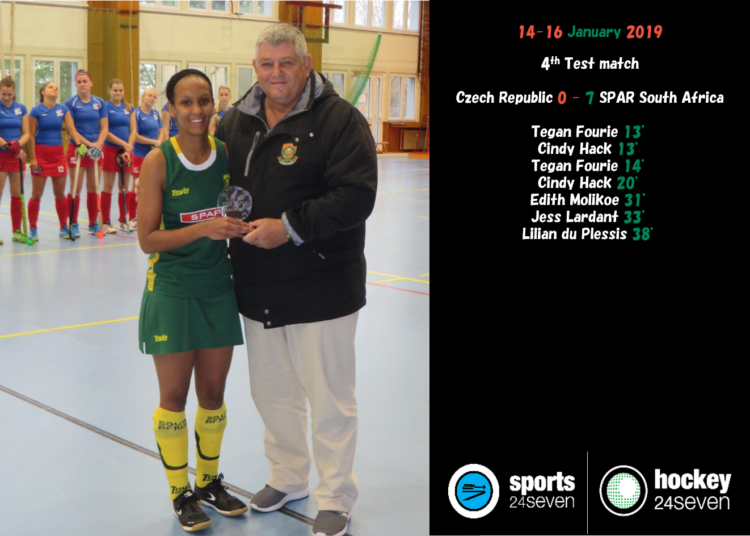 SPAR South Africa completed the year taking part in a four match exhibition series against a World All-Stars at the Psi Nationals that saw them draw the opening game and lose the other three in highly competitive matches. 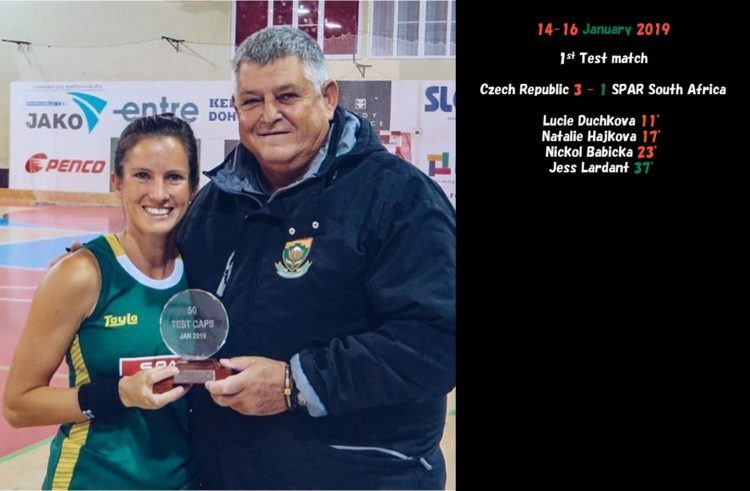 The series allowed coach Lennie Botha and his team to prepare for the European Tour in front of capacity crowds, something all teams love to experience. Switzerland prepared for the series with a two-match series against Belgium which they lost 1-0, losing the first game 4-3 and drawing the second 2-2. South Africa will have to be aware of captain Stephanie Walti who is a massive goal scoring threat, while Flurina Walti is a superb keeper. SPAR South Africa themselves have some lethal talent in their line up and in the trio of Kelly Reed, skipper Cindy Hack and Edith Molikoe they have a superb fluid attack. Tegan Fourie has recovered from the injury she suffered in the final Psi game, while Jess O’Connor is at her best in the toughest games. South Africa can also look to Cheree Greyvenstein who has developed immensely as a keeper over the past twelve months and is in the form of her life. The final game of the Psi Exhibition series was played in front of another capacity crowd at UCT Sports Centre. 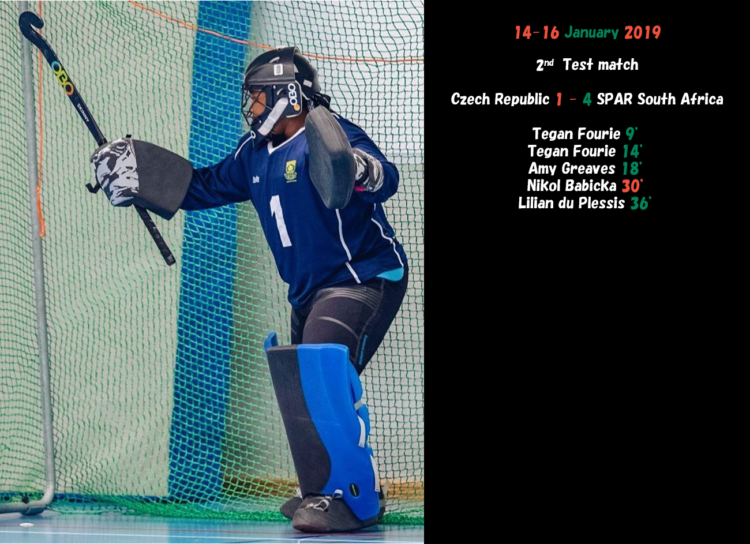 SPAR South Africa were using the series to prepare for their upcoming test series against world number 5 Czech Republic and world number 7 Switzerland. For the coaching staff featuring Lennie Botha, Robyn Morgan, Brighty Mashaba and AJ Spieringshoek, they will be largely satisfied with the progress the team has made in a thrilling series. The match started with a bit of a scary incident as Tegan Fourie took a bad knock to the eye and the game was stopped for a few minutes for her to receive treatment. Fourie was taken to hospital and received the news that she would be okay for the European tour. That scare seemed to set a bit of a surreal environment at the arena, but the game sprung to life just before half-time when Lena Lindstrom finished a team move to give the All-Stars the lead. SPAR South Africa surged forward though and got the goal through a superbly worked penalty corner as Cindy Hack set up Kelly Reed for the finish. It was a goal that was fully deserving and a half-time score of 1-1 was a fair score line based on the match seen so far. The second half followed the same tactical route with both teams reducing opportunities and space to a minimum. When called upon Alexander Heerbaart and Cheree Greyvenstein were in superb form to keep the scores level. The All-Stars finally took the lead with a trademark powerful flick from Marlena Rybacha. 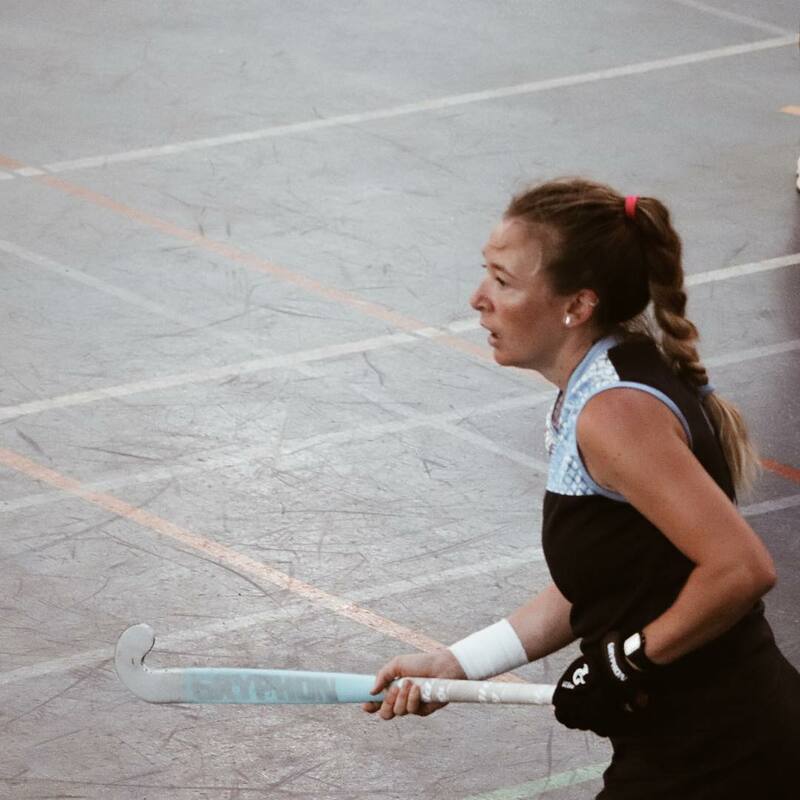 SPAR South Africa once again surged forward and thought they had levelled as an infringement in their D was allowed to play on and then they went up the other end and Kelly Reed scored past on onrushing Heerbaart. The decision left the crowd disappointed as a short corner was awarded to the International All-Stars and Rybacha smashed it home. 3-1 the final score.